82" x 82" x 39"
Dry: 645 lbs., Wet: 4,045 lbs. The Denali features 7 spacious seats and that is just the beginning. The true potential of the Denali hot tub is fully appreciated when immersed in its 61 strategically mounted hydrotherapy jets. Seven seats offer a variety of choices when it comes to hydrotherapy massage, each seat is sure to make your worries and stress melt away. When it comes to features there's nothing standard about this member of our popular Premium Series. 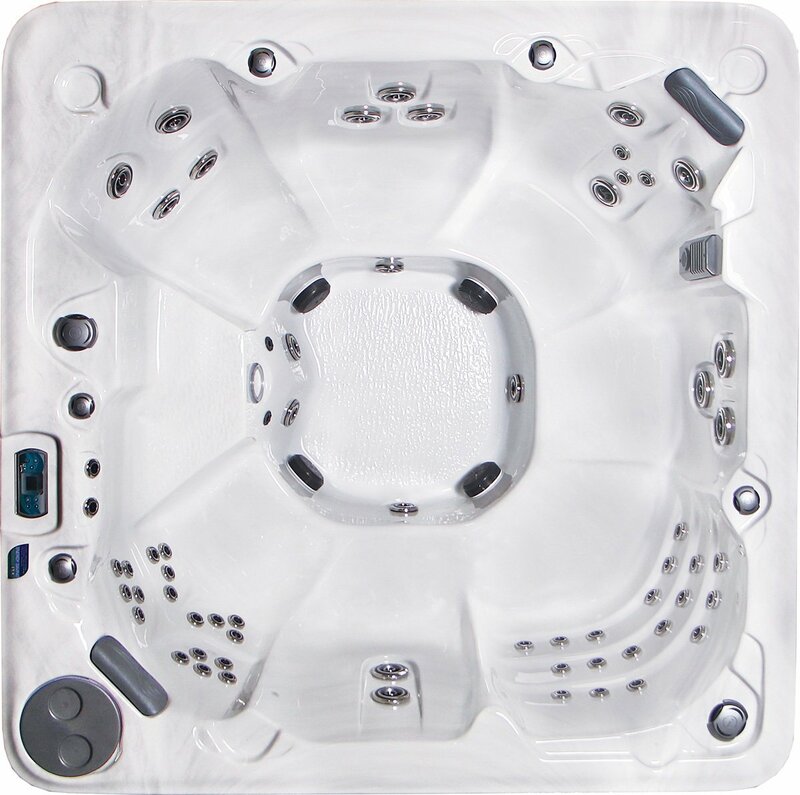 We've included performance upgrades such as PowerFlo™ filtration, stainless steel Reflections jetting, and TemperLok™ insulation for a hot tub experience unlike so many to precede it.